FaithWords, an imprint of Hachette Nashville, announces the 10th anniversary edition of Joel Osteen’s Your Best Life Now: 7 Steps to Living at Your Full Potential. Originally published in October 2004, the book launched Osteen’s publishing career, remaining on the New York Times best-seller list for more than two years while selling over 8 million copies worldwide. “I’m humbled that so many people continue to be inspired by this book,” Osteen said. The 10th-anniversary edition features updated content, including a new introduction and cover, and a special bonus chapter. “It was a privilege to publish this classic work, and we hope millions more will discover how to reach their full potential with this expanded edition,” said Rolf Zettersten, publisher at FaithWords. 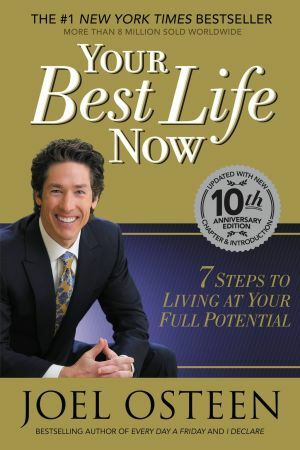 Osteen has sold more than 20 million copies of his books, including Daily Readings from Your Best Life Now . He continues as pastor of America’s largest church, Lakewood Church in Houston.